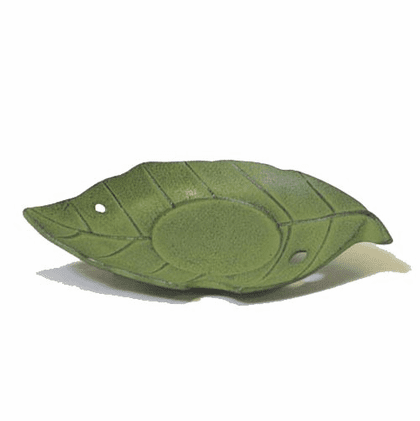 Whimsical cast iron leaf coaster. It insulates our teacup and protects your table. Manufactured by Iwachu, in the Iwate region of Japan. Matching cast iron cup available. Matching cast iron trivet available. Iwachu cast iron tea pot available. Iwachu cast iron teapot warmer available.